Important Changes To This Report! 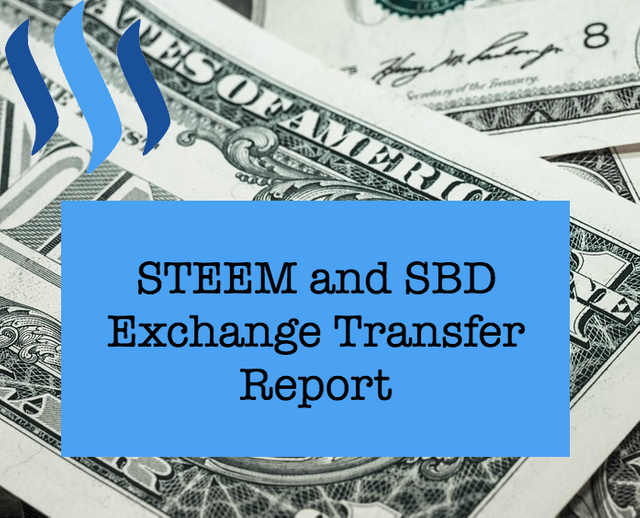 It has come to my attention exchanges can do transfer_to_vesting transactions as well as transfer transactions which means some people buy STEEM POWER directly but this report has only ever shown STEEM and SBD transfers. Starting now, I'm including STEEM POWER purchases made through exchange accounts. When we include this information historically, it means the withdrawals to deposits ratio has probably been a lot better than previously reported. Unfortunately, I can't easily go all the way back to recalculate the data, but I have captured the last month to see a nice correlation between the old ratio and the new one (it's just lower because we're now including more depositors). This change also means previous whales who were buying Steem Power directly haven't been included in the report! Now they will be. As mentioned above, this is the first report to include Steem Power deposits. 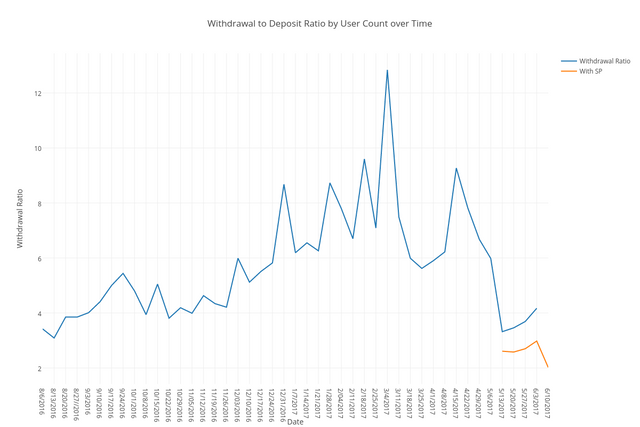 The withdrawal to deposit ratio is looking great at 2.02 to 1. 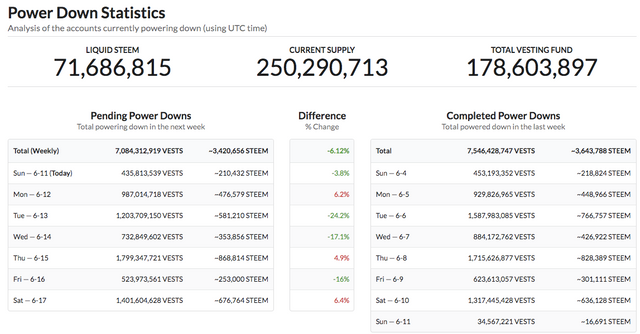 As we move forward, I'll start removing older data from the graph so we can focus on the new values which include Steem Power. @tombstone took out a huge amount at $1.5 million. Wow. I wonder if they're talking to a real estate agent. The total outbound amount in USD terms this week was over $3 million. That's... pretty amazing. The powerdown amounts for next week are in the green at 6.12%. These are great statistics @lukestokes it really brings light to what is going on in this community. What power moves are being made and by who. Now onto the goal of becoming one of those whales...Excellent info keep it up! Cheers! Thank you for the daily news reports. I was referring to the information that you and many others put out every day. I was trying to be witty, "The Daily News". I guess I am not very good at it. Anyway I do appreciate it. It seems like it is a lot of work. That's a great suggestion. 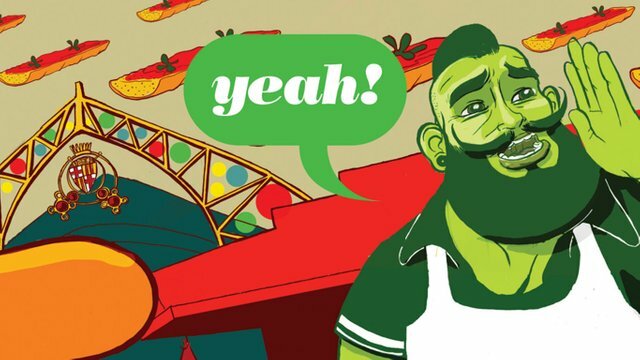 Actually, since I'm now running my own price feed via my witness @lukestokes.mhth, I might even just reuse that data. I knew from the beginning the price wasn't going to be completely accurate, but I figured if I kept it consistent (which I have) it would still be useful when comparing data with previous reports. Since I'm making this change with including Steem Power and we're coming up on a year of this report this summer, maybe it's time to start thinking about some other changes as well. cool, I was wondering, how do I send steem power? 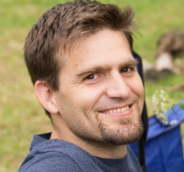 I don't think the web interface at steemit.com allows for it, but it is a command which you could access if you had the cli_wallet installed and set up. Thanks and thanks for mentioning your post. I enjoyed it! Always the essential report :) I think it's great to see new players coming in, so that as a community, we can somehow support and fast track them into the game for supporting the currency! Hopefully our new whale friend will learn about curation rewards soon. Regardless, I'm thankful for that counterbalance to tombstone's hefty withdrawal. As I'm increasing my own Steem Power, I'm realizing even more how important votes are and how the responsibility to use them goes up as the influence goes up. Someone mentioned to me in chat recently how I accidentally upvoted a relatively new account which had a repeat history of plagiarism. Had to go turn those votes into flags instead. Good point. So is all of the reward pool always paid out or if a whale chooses not to upvote are rewards left on the table? Yep. That's what the "experiment" was all about a while back where whales were encouraged not to use their full votes and other whales were flagging whales who didn't follow along. The result was that each vote had more influence. I think this experiment led to the flatting of reward curves that are coming in the next hard fork. This is the second time you're said the exact same thing as a comment on my blog. If you continue to do so, I'l flag them as spam.